Today was a more productive day than usual! 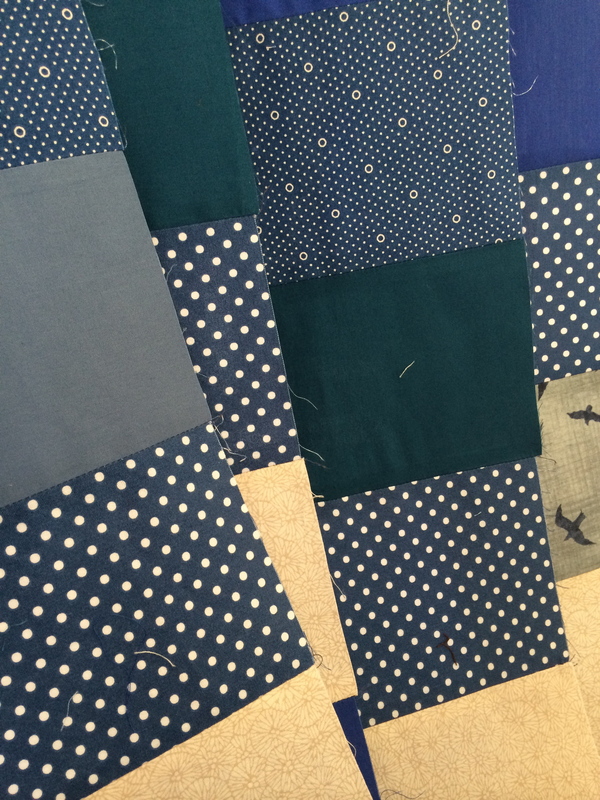 First of all, I sewed up the last strips squares for my quilt top– meaning I have four strips to sew together, then to the bigger piece that’s waiting so patiently. 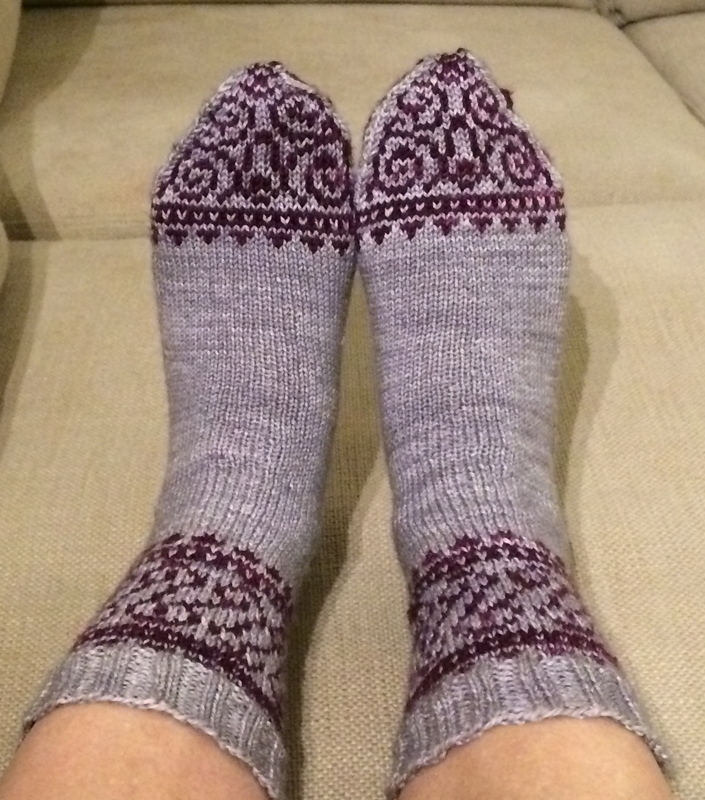 Ready to become part of the whole quilt! 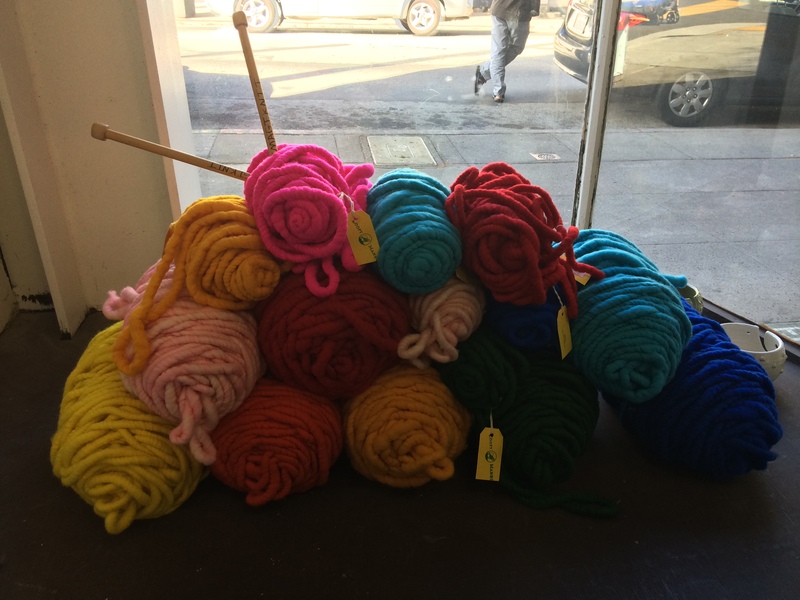 I took a quick trip to my LYS, Imagiknit, to pick up some yarn I’d ordered for my POP blanket. 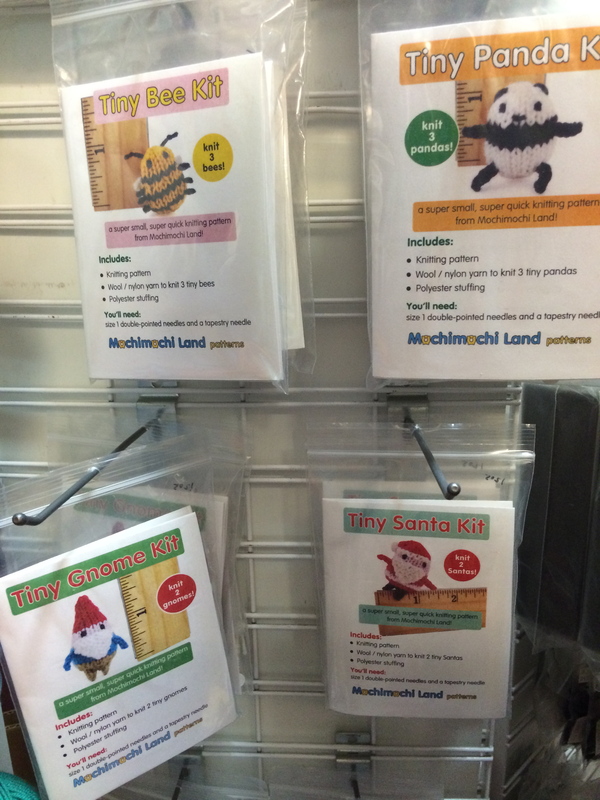 And I found some nice things, including these adorable Mochimochi Land kits for knitting these teeny tiny creatures. And this! 3 feet of fiber for spinning! 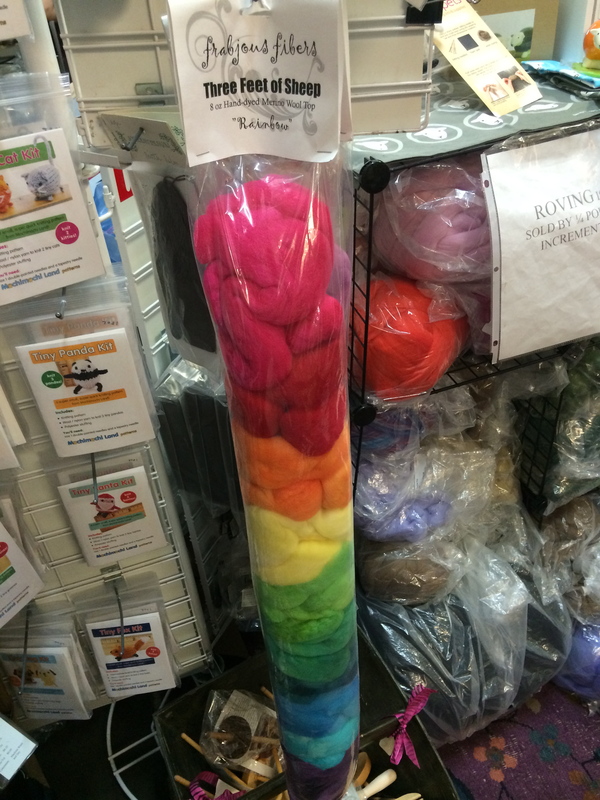 If I can work down my fiber stash, and this is still at the shop, I will be super tempted…. 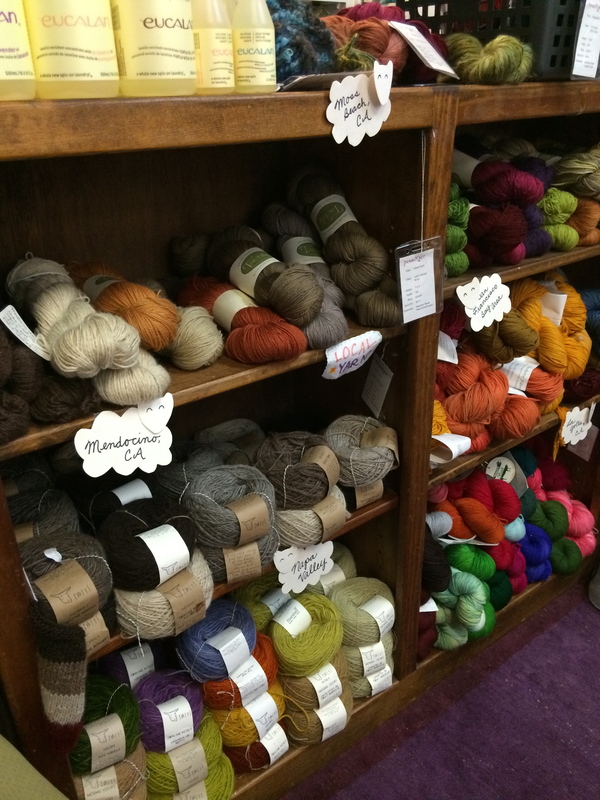 Their selection of local yarns is getting to be very nice. 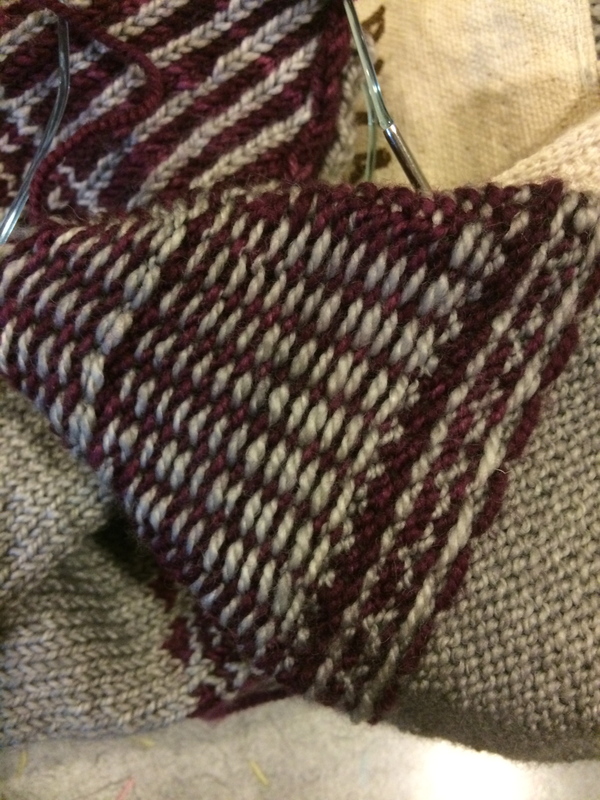 This yarn was so thick, it was about as big around as one of my fingers. 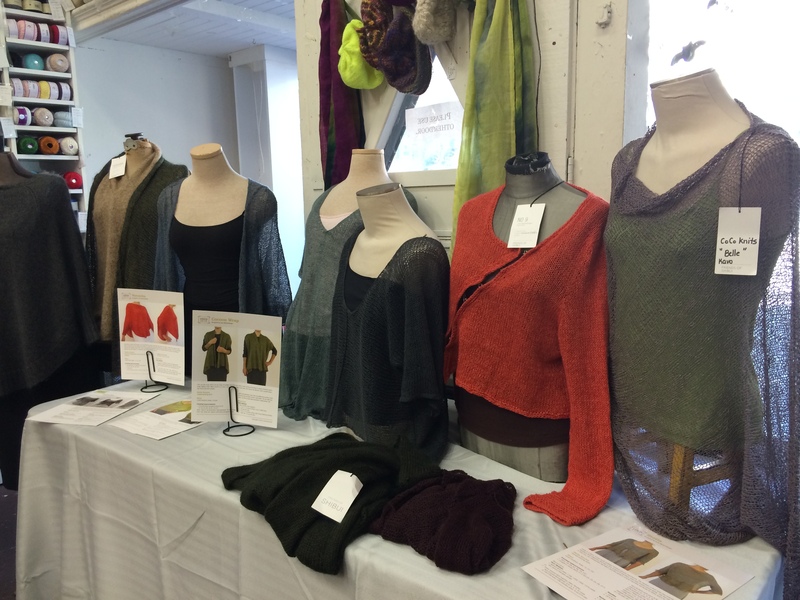 And a trunk show– I’m not sure if this was just Coco Knits or if there were other designers featured here, but they were lovely samples. 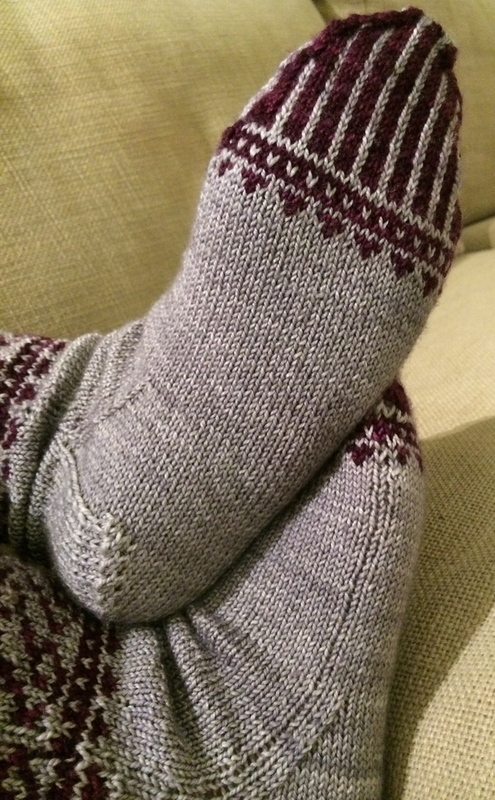 And by the end I had grafted the toes and woven in the ends, with some admiration of my even floats along the way. My plan is to focus a little on my POP blanket and the quilt, now that these socks and Halloween costumes are finished. 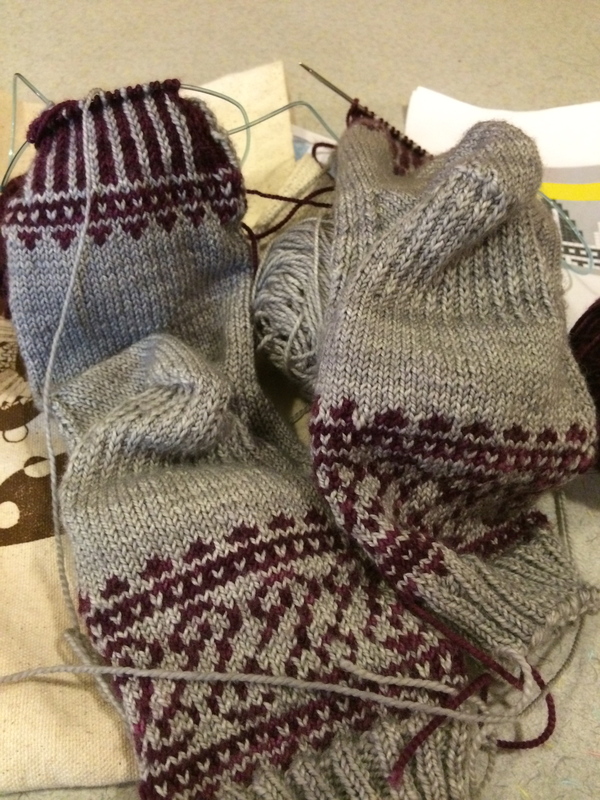 But I am also feeling the need for an instant gratification project, maybe a hat or some kind of cowl. Hmmm. Thanks! I’m happy that they fit. 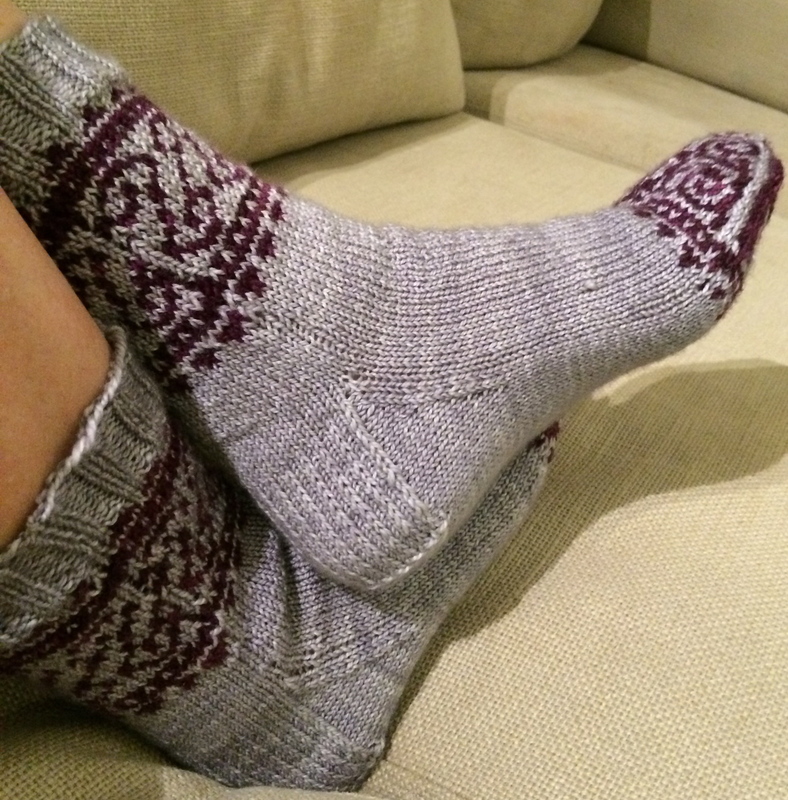 It’s always such a risk with colorwork! !